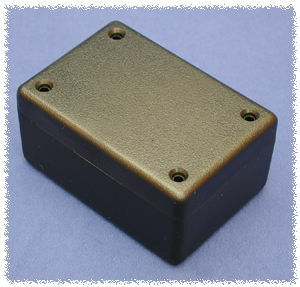 Heavy duty, thick wall design with an average wall thickness of .13” (3.3 mm). 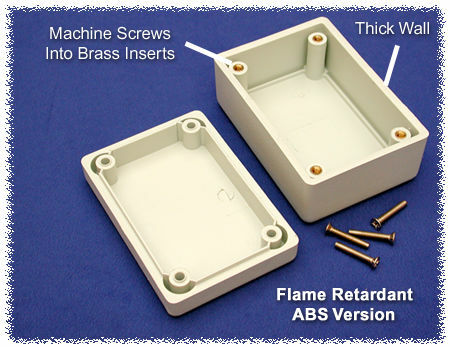 Molded from flame retardant ABS plastic (carries a UL flammability rating of 94V-0). 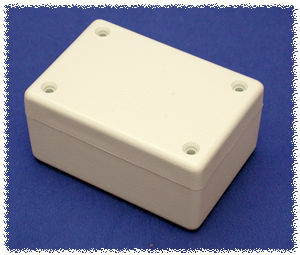 Add 0.47" (12 mm) to enclosure depth for lid.